In light of the administration’s handling of terroristic threats, community members urge for new district leadership. 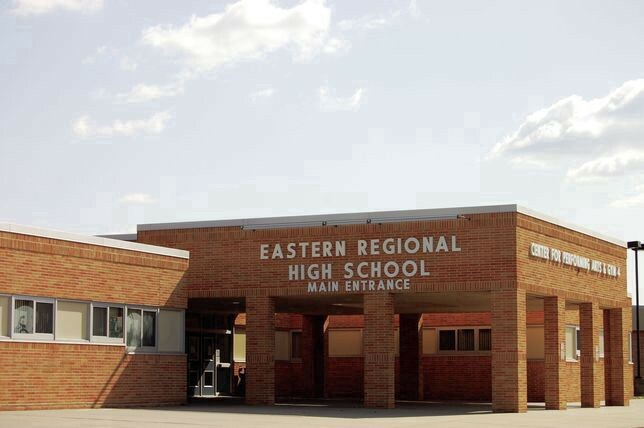 On Tuesday evening, Feb. 27, a change.org petition surfaced on social media demanding the immediate resignation of Eastern Regional High School’s principal, Robert Tull. Currently, the petition has gained nearly 200 signatures. The petition, created by parent Brandy Brocco, according to the change.org website, outlines petitioners’ belief that Tull failed to properly take action after a student claims to have reached out to him regarding a shooting threat made by another student. Some parents voiced similar concerns at Monday evening’s school safety forum, which was hosted by the Voorhees Township Police Department. “Mr. Tull has demonstrated that he does not follow procedures, has jeopardized (students’) safety and has failed to communicate with the police and parents, causing mass hysteria within our community,” the petition says. The online document is urging support from the Eastern Regional board of education. If the board does not address the concerns of the petitioners, the petition states that organizers will makes efforts to prevent the board members’ re-election in November. “We will protest, work tirelessly day and night to let every voter, present and future know that you ignored the community of Eastern Regional School District. We are the voices of the community and of our children and we will not be idle in our mission,” the petition says.